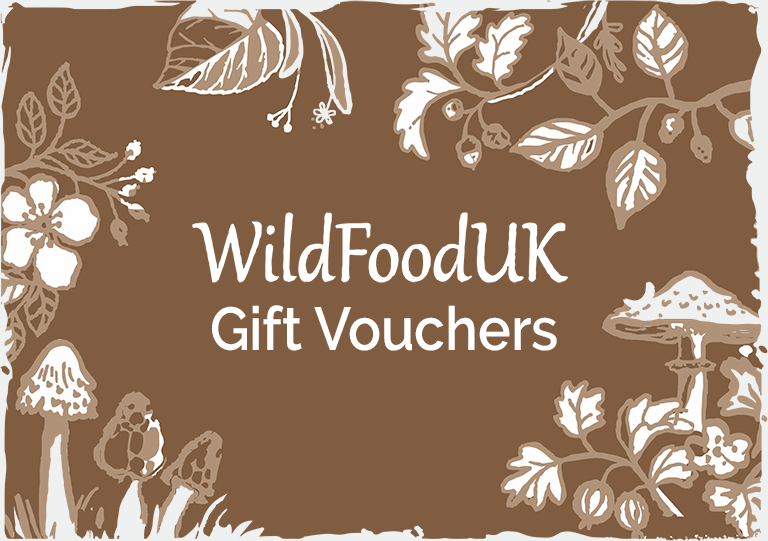 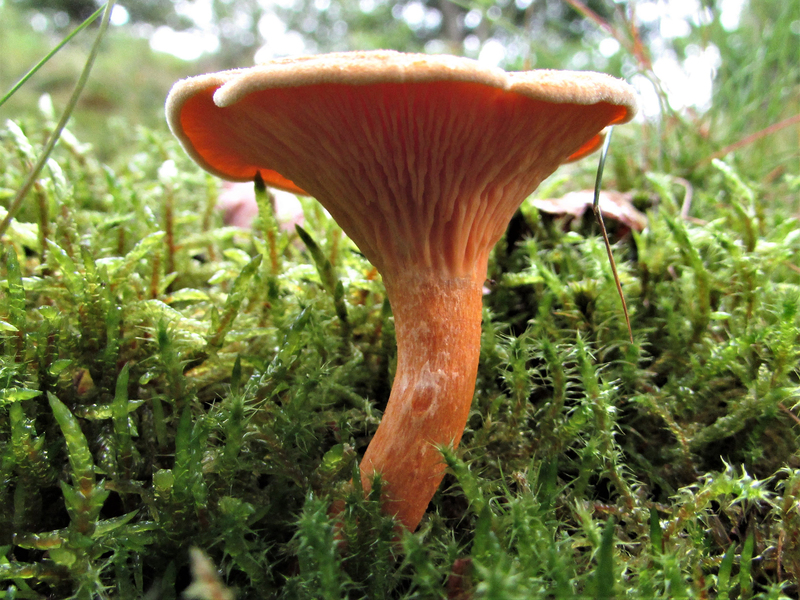 This very tasty mushroom can be found in small groups in all types of woodland, more often with beech or birch. 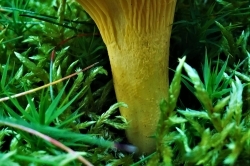 It can also be found in open pasture. 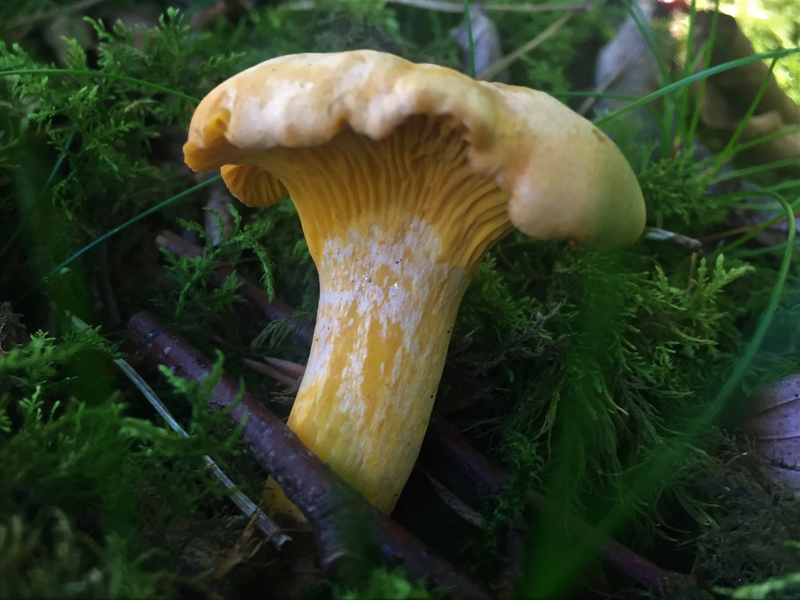 A delight to come across, but be careful of other foragers as they can be quite territorial over their Chanterelle patches! 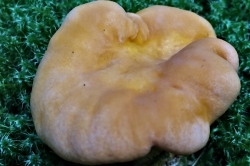 Flattened at first with irregular margin becoming depressed towards the centre. 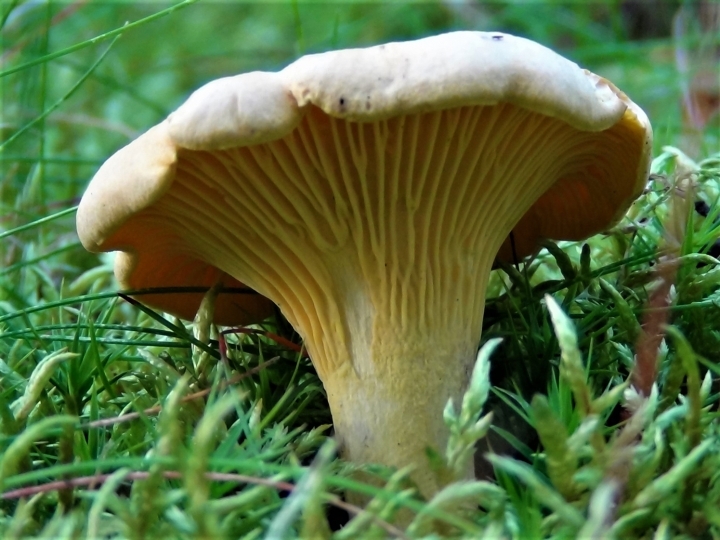 Often undulating all round the edges, later turning up to form a loose trumpet. Yellow with white flesh. 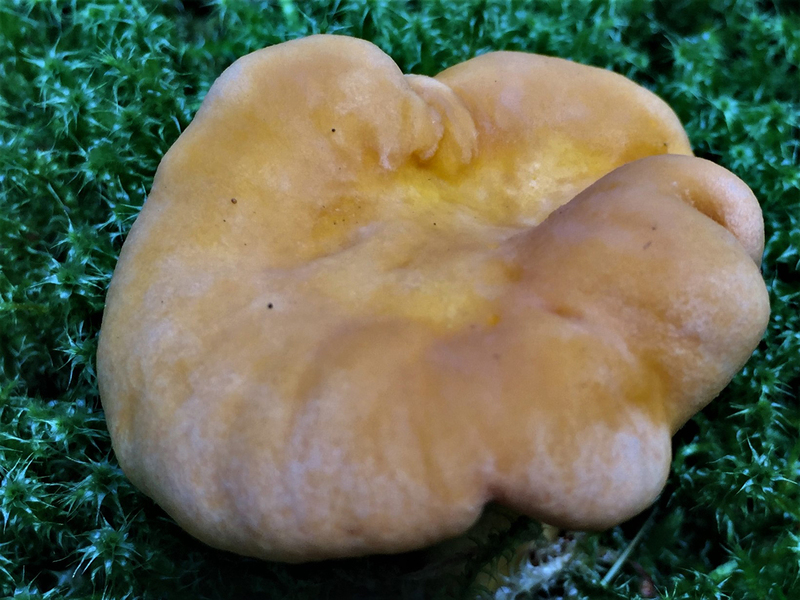 Does not have true bladed gills but forked, slightly rounded folds that look like gills. 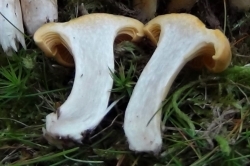 These run part way down the stem. 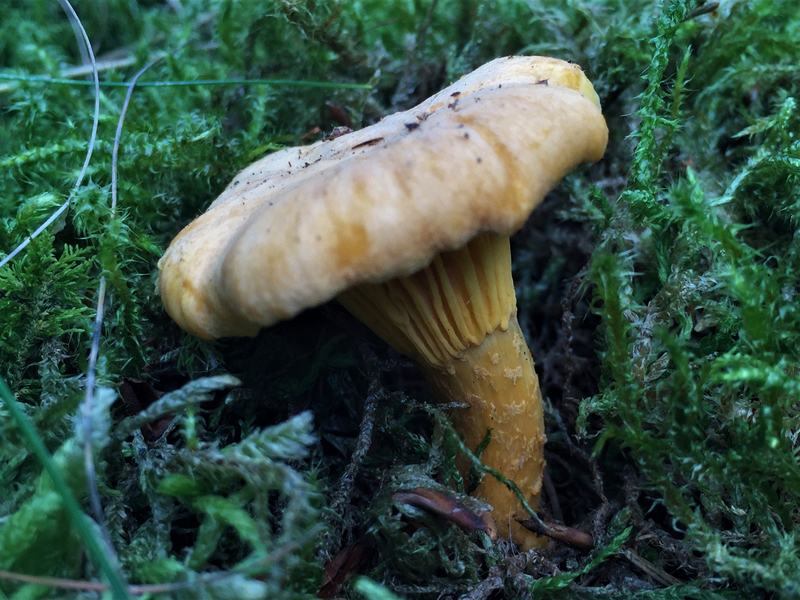 Solid, tapering towards the base. 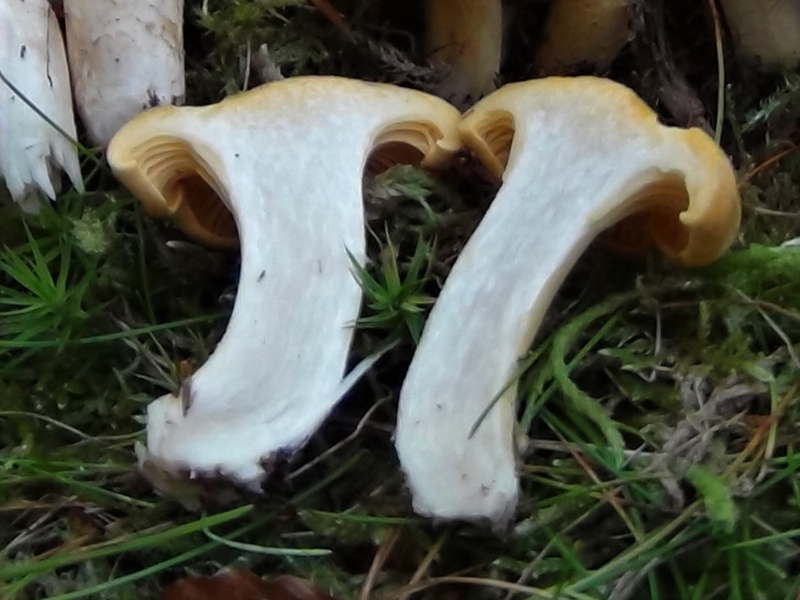 Yellow with white flesh on cutting. 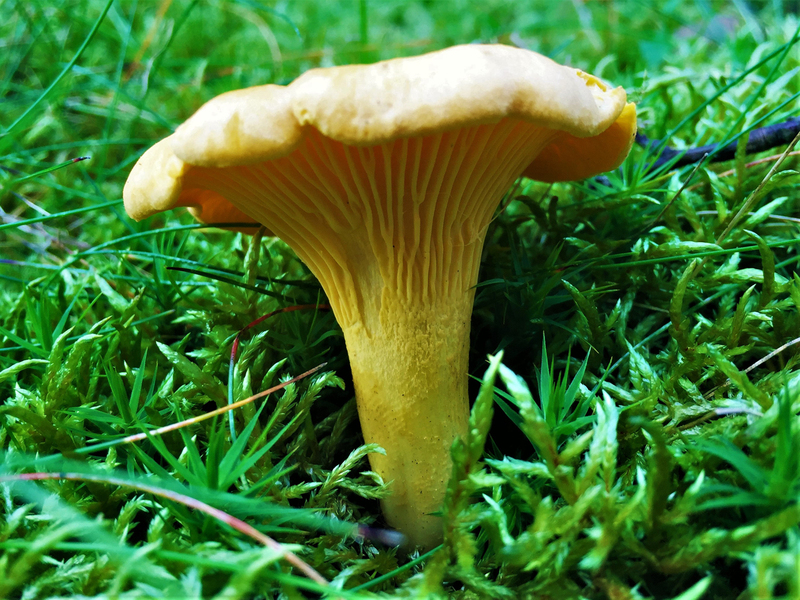 The Chanterelle has white flesh. 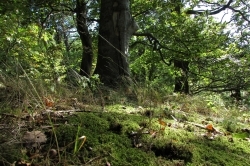 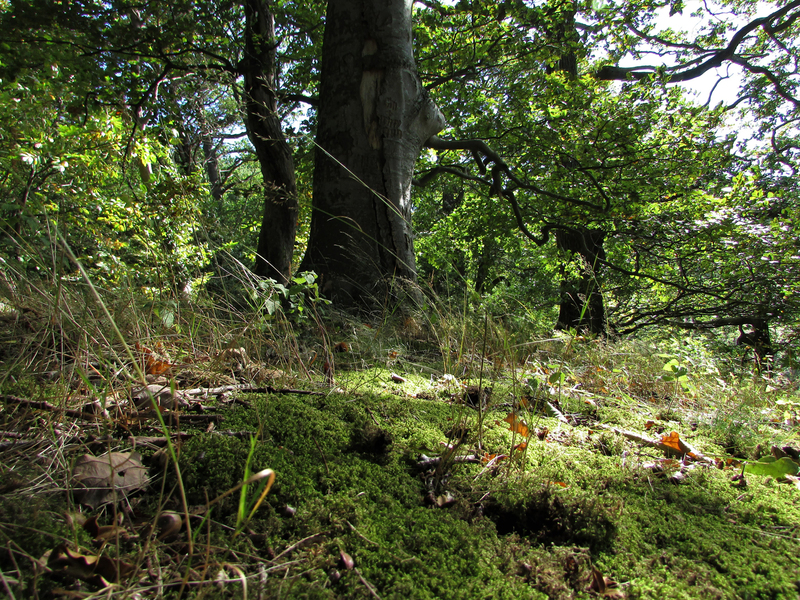 All types of woodland but mainly with beech in England and birch in Scotland and usually growing in moss. 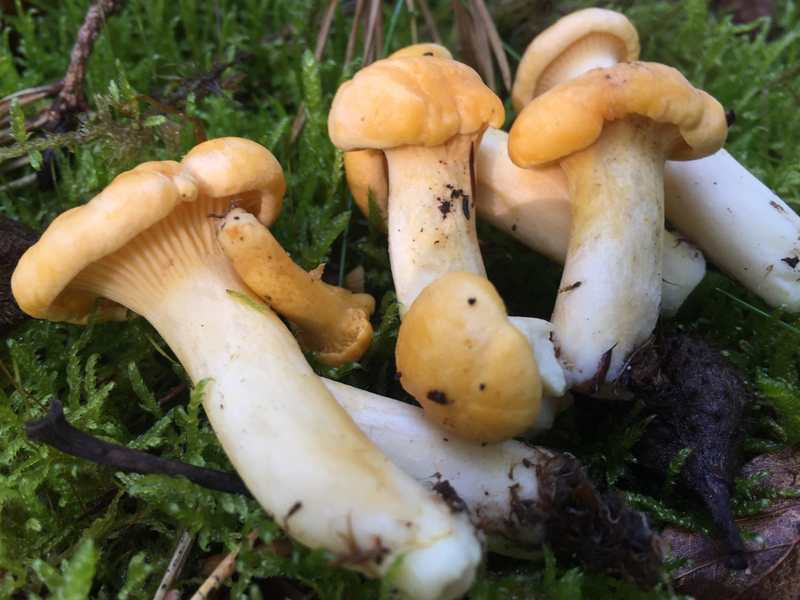 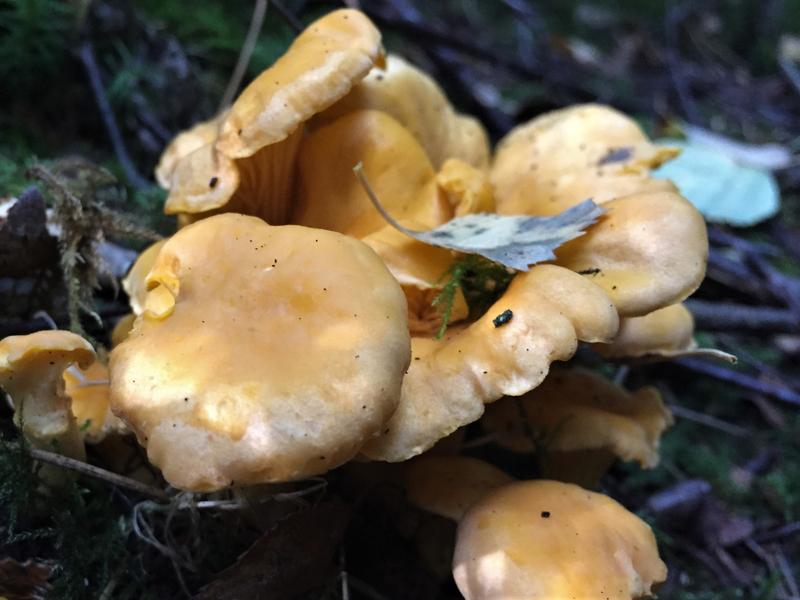 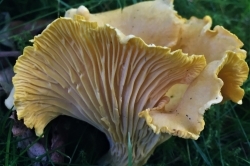 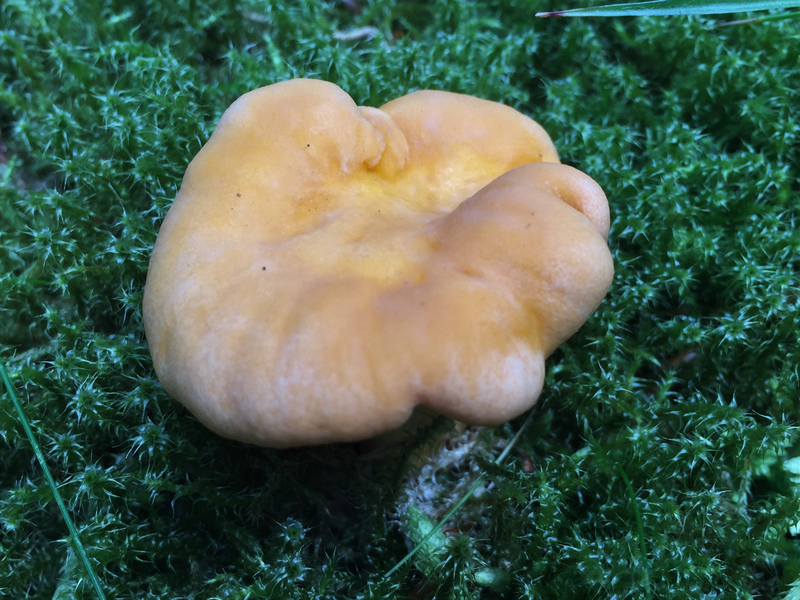 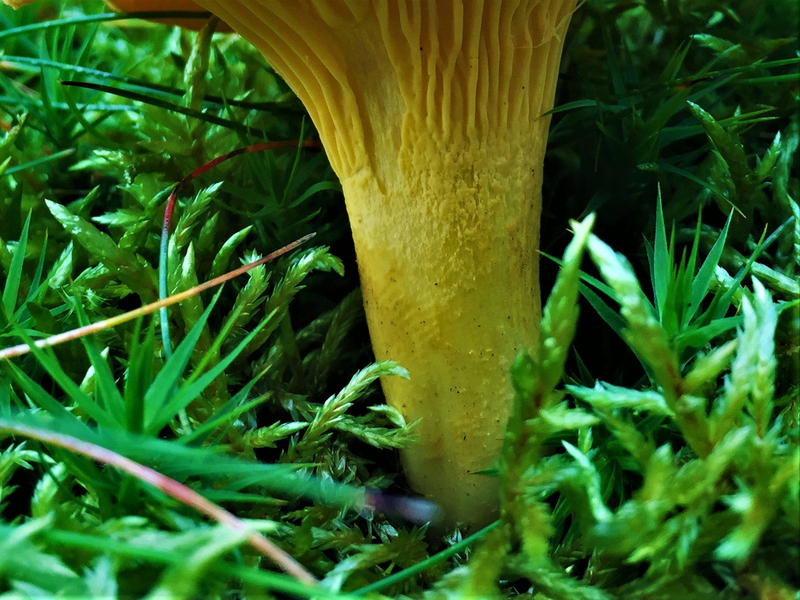 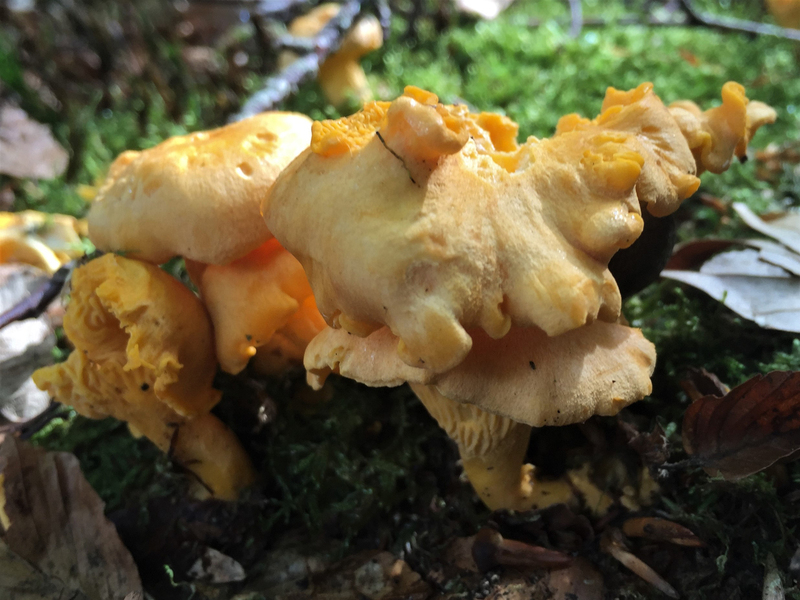 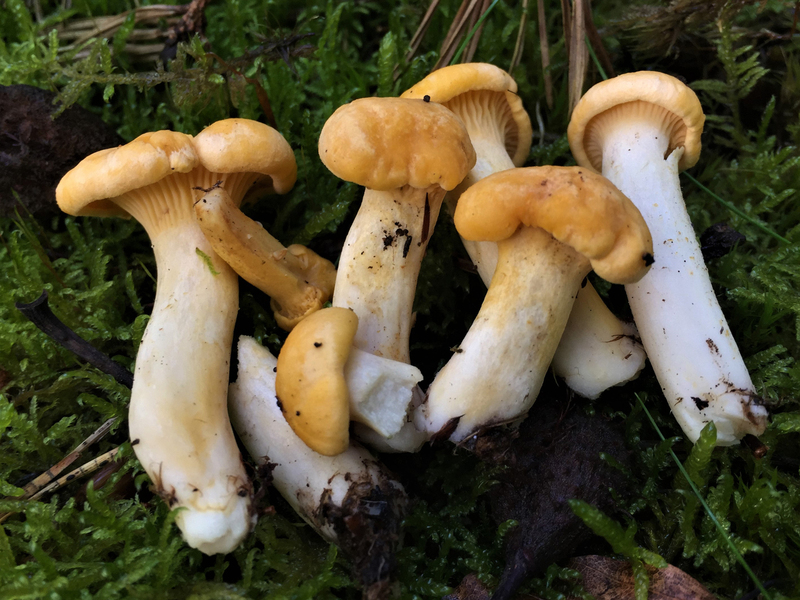 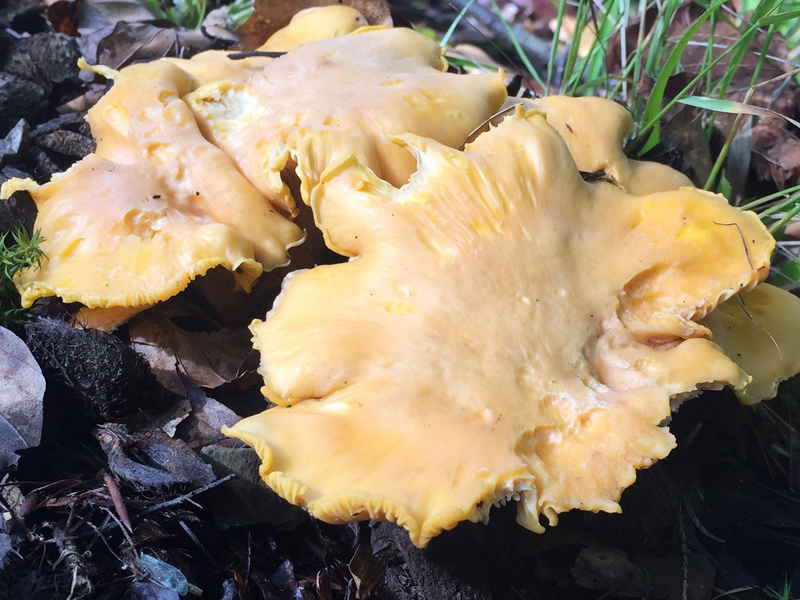 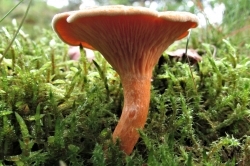 The False chanterelle ,Hygrophoropsis aurantiaca, pictured, looks similar but is more orangey yellow, when cut in half it does not have the white flesh of the true Chanterelle but is concolourous with the cap, and its gills are more crowded. 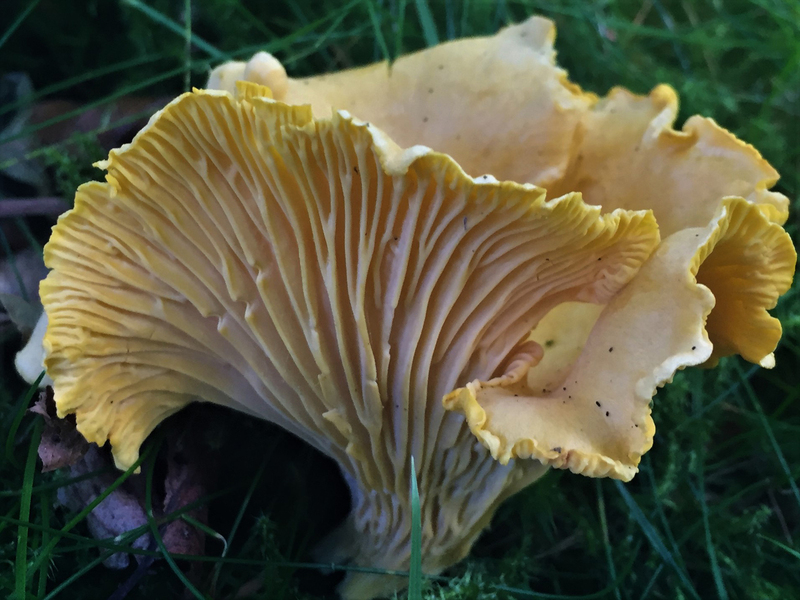 Said to be edible but poor in older books, it can apparently cause food poisoning symptoms and even hallucinations for some people so it’s better avoided. 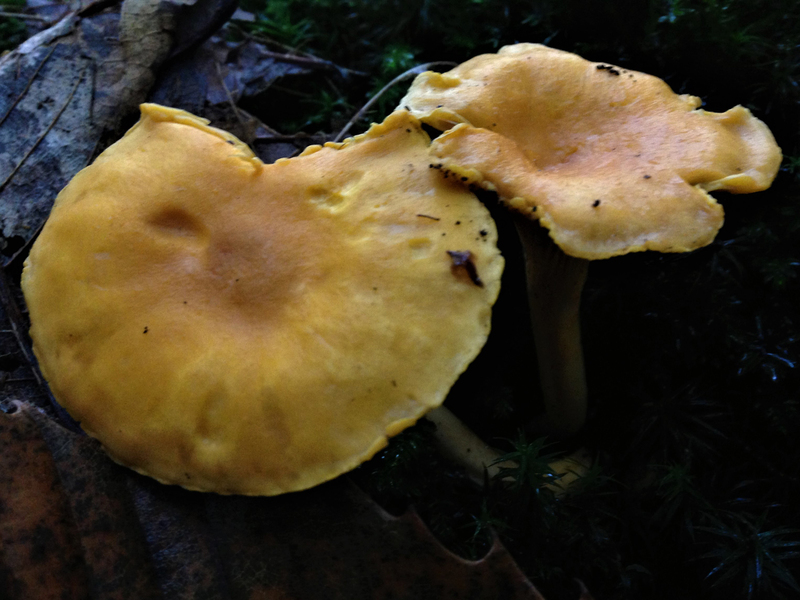 The poisonous Jack O’Lantern, Omphalotus olearius, is a very rare mushroom in Britain, it grows on deciduous wood, it has true gills and is darker orange in colour. 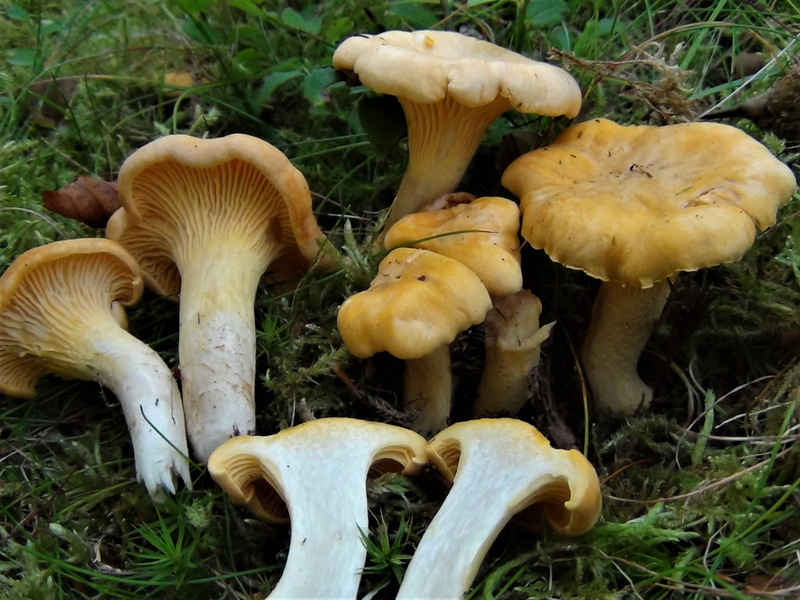 It could be confused with other members of the Chanterelle family which are all good edibles. 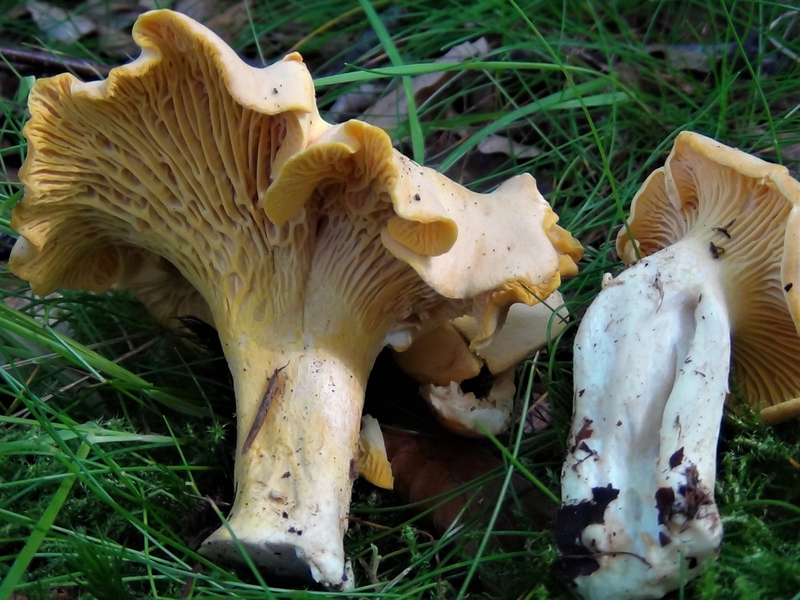 The Amethyst Chanterelle is similar but has purple scales on the cap, and the stem and flesh bruise brown, it is rare in Britain and shouldn’t be picked unless abundant. 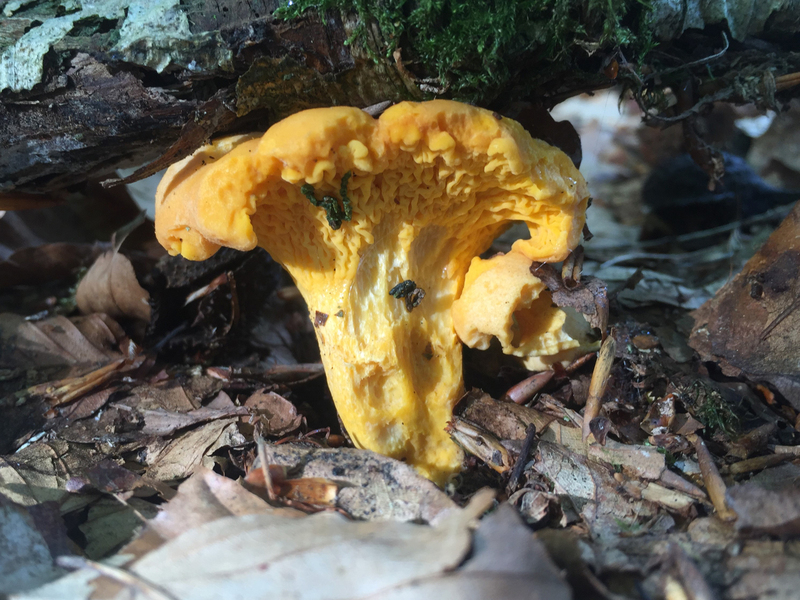 Excellent, sweet. 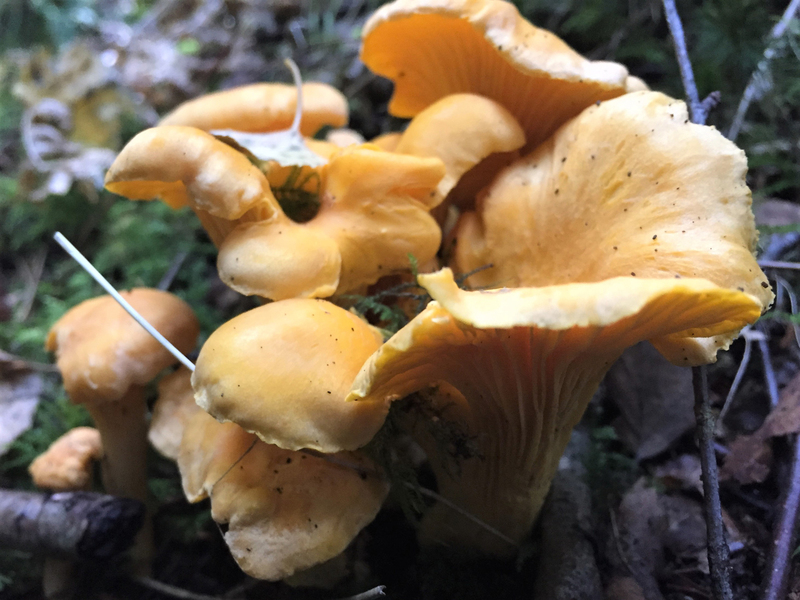 Chanterelles smell fruity, quite like apricots.